To see what others are reading and recommending each Monday, or to participate, be sure to check out the blogs Teach Mentor Texts, hosted by Jen Vincent and Unleashing Readers, hosted by Kellee Moye and Ricki Ginsburg. Last week, one of my colleagues recommended Trash by Andy Mulligan. As I was going through books on my daughters' bookshelves, I coincidentally came across it, so I started reading it through very tired eyes on Friday night. I didn't pay too much attention (no, I wasn't reading closely) for the first ten pages, and by page 12, I was completely hooked. I stayed up late Saturday night and woke up early on Sunday morning to see what would happen to the three boys that I came to care about in ten pages. As Olivia, one of the several narrators in Trash, reflected, "I fell in love. I fell in love with the eyes looking at me, and the smiles." Even though I could not see the eyes and smiles, I completely imagined them, and was right there, agreeing with Olivia. 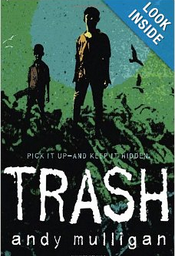 My colleague recommended Trash because we are developing a human rights unit for sixth-graders. This novel would be a powerful springboard to conversations about human rights, government corruption, disparity, and economic principles. 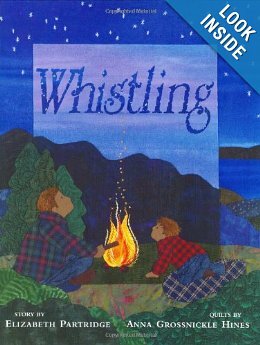 The three main characters are thirteen year-old boys growing up in a third world country as garbage pickers, but they become involved with events that teach them about much more than their own environment. Woven into an engaging and sometimes violent plot are lessons about humanity, values, ethical dilemmas, and our world's inter-connectedness. I could see this being a powerful read-aloud or book club selection for middle school students. On Tuesdays, Stacey at twowritingteachers.wordpress hosts the Slice of Life. Today, I am coming in at the buzzer with a slice about the Common Core language standards. A student is writing an explanatory essay for a world language class. Read a paragraph from the essay and the directions that follow. What is the best way to learn another language? Some people say that only living in a country where the language is spoken really works. However, for them that do not have the time or money to move to a different country there are many other options. Listening to music and watching movies in a different language with subtitles can really help, for example. One sentence in the paragraph above contains a grammar usage and a punctuation error. Type the incorrect sentence below, correcting the two errors. She had to read closely, because the directions said that there were two mistakes in ONE sentence. She spent a fair amount of time looking for two mistakes in the paragraph. She had to accept that the last sentence was correct, even though it sounds awkward. Who ever ends a sentence with for example??? We teach children to BEGIN a sentence with this phrase! She did not like the second sentence, finding it hard to understand. I'd love to speak to the author of this sentence since I'd like to teach him/her about the importance of the active voice. Ultimately, the standards want students to write in the active voice (I think this appears in 9th or 10th grade), so why are we assessing students in the passive voice? She was sure that the comma was missing in the third sentence, but she still wanted to correct the last sentence. She spent time reading and re-reading the last sentence to try to find a second error, before I finally directed her to the third sentence, reminding her that it was missing a comma. "Could they have put one mistake in one sentence and two mistakes in another sentence?" she asked me. I think that, based on the directions, they could have. If she were really going to complete the task, she would have had to type the answer. Before she got to the typing, she had spent 8 1/2 minutes on this question. The almost 10 minutes that I spent with Cecily watching her try to answer this one question really worried me, as the new testing comes barreling at us. While I feel like we are making strides to prepare students for three types of writing, and I have been impressed with some of the sample items I have seen to assess these writing skills, I definitely need to think about how we will prepare students for the questions about language, punctuation, and grammar. I would love to hear other bloggers' thoughts about the language standards and sample questions, as well as how other districts are teaching these skills to students. This morning, the Hartford Courant has a feature article titled Common Core Standards to Change State's Education Landscape. The timing for me was perfect, because just yesterday, I called a good friend of mine who teaches in a neighboring district to talk about how much teachers really know and are talking about the Common Core State Standards. With a front page article in the local paper, teachers will want to pay attention because parents will be paying attention. I am admittedly overly-consumed with the writing standards, but my job is coordinating our district's writing and social studies curriculum. Here's what I hope teachers know about the writing standards, not just because students will be tested on these concepts (and educators will be evaluated on their students' performance), but also because these standards require students to write and develop their understanding of language. There are three types of writing that the new testing will assess--narrative, informational, and opinion. Once students hit sixth-grade, the opinion writing shifts to argument writing because at that age students should be writing about debatable topics. (If you want some great ideas for debatable topics, check out procon.org.) All three writing types can take different forms--I had a teacher ask me if students could present their research in the form of a powerpoint or feature article instead of a report. Yes, but the standards involved in informational writing remain in place, regardless of the format. Students should be writing a lot. Students should have opportunities to do quick research, as well as longer sustained research. The more that students can understand and appreciate that writing is an important way to communicate ideas and knowledge, the more success they will have on all of the pilot tests that I have seen, and, more importantly, the easier it will be to write up the quick email to a work colleague, the job application, the request for a day off, or the annual report. Students should be writing on a keyboard. Yes, composing drafts and even generating ideas on the keyboard whenever possible. If you are in a district that is fortunate to have computers (that work and don't take ten minutes to boot up in order to work for eleven minutes before the battery dies), then students should be using those computers in writing whenever possible. Even third-graders will be taking the new assessments on-line and they will need to keyboard their responses. Language and grammar do not live in the writing standards but they flourish in the language standards, another sub-section of the Common Core. By the time that students are fifth-graders, they should be dashes, parentheses, correct pronouns, and correct spelling. (That's in addition to commas wherever they are supposed to be!) This means that all of the other skills have to be mastered in earlier grades, as they are enumerated by the language standards. We are no longer getting ready for the Common Core in schools across the nation. The Common Core is here. This spring, many districts will be administering pilot tests and the more that we educators understand the CCSS, the better for all of our students. If other readers or bloggers have additions to make about what we should know about the writing standards, please share! 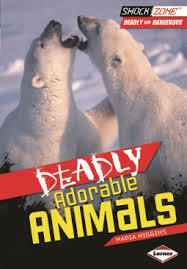 Deadly Adorable Animals by Nadia Higgins is must-have nonfiction book! 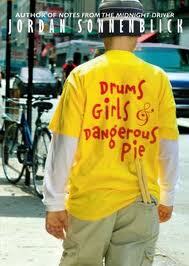 It will engage readers right from the title and and photographs. 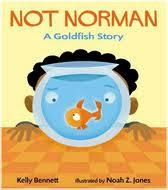 I can't wait to read this aloud to my 5th graders this year and use during our nonfiction unit. It will also be a great companion text to use with Deadliest Animals by Melissa Stewart. Enjoy! I love this Face to Face with...series and have been reading each one in the series recently. 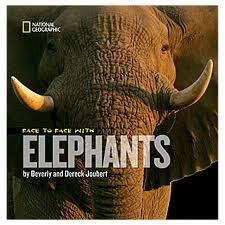 So far, one of my favorites is Face to Face with Elephants by Beverly and Derek Joubert. I think elephants are fascinating animals and I am always looking for interesting nonfiction books about them to read aloud to my students - this is the newest addition! If you have not checked this nonfiction series out yet, I highly recommend that you do soon! 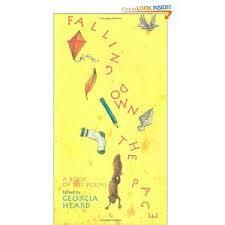 I love all of Georgia Heard's books so I was excited to hear about Falling Down the Page from one of my colleagues. This is a great poetry book full of list poems of various topics, including many around the topic of school. 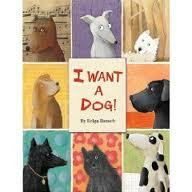 This will be a perfect mentor text when teaching students how to use the list strategy to write their own poems. I had some cherished reading time this week that I was able to allocate to pages other than research and professional reading. 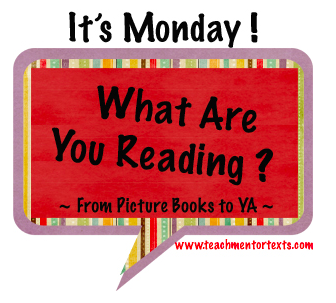 Unintentionally, my reading life had a theme of empathy and acceptance--I have some books that I am really excited to share! 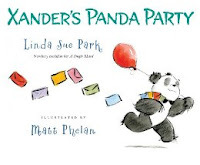 Xander's Panda Party by Linda Sue Park is about a panda planning a birthday party for himself and struggling with the ever-growing invite list. 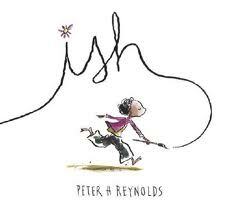 This book could be a springboard for classroom discussions about inclusion, as well as a wonderful resource for teaching about the animal kingdom. 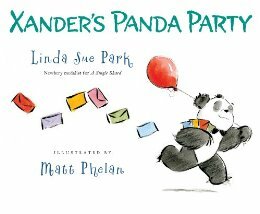 After the story is over, Linda Sue Park included facts about the animals in the book, answering anticipated questions and inspiring more! 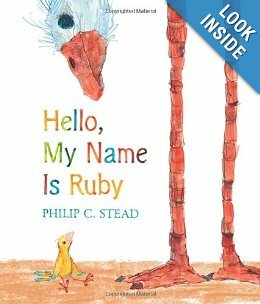 Hello, My Name Is Ruby by Philip Stead is a adorable story, offering important messages about finding your place in the world for all ages. 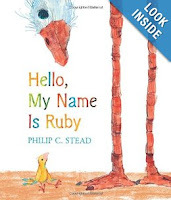 The text is simple, but Ruby's questions and quest are universal. Golden Boy is the debut novel from Tara Sullivan and it is one of the most impactful, important books that I have read in recent times. I bought this book because we are studying Tanzania and Golden Boy is about a teenage albino boy in the northern part of this African country. I had no idea about the atrocities that albinos face in Tanzania, even now. Habo's story is educational, riveting, and disturbing and Tara Sullivan's website is full of resources and ways to help a situation that has been far from my radar. I will be talking to my friend who is a dermatologist about sending sunscreen and SPF shirts to help Tanzanian albinos. 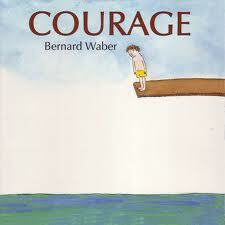 This is a book that I would love to talk about with other teachers if any of you have read or end up reading it. "I wanted...But...So...And..." Is Your Story a Small Moment? 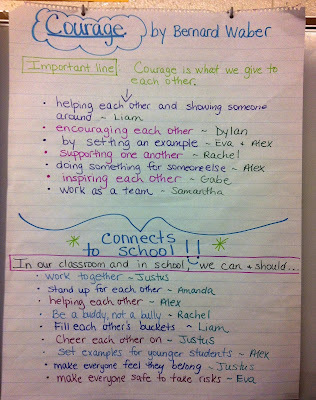 Last week, I was teaching in a fourth-grade writing class, emphasizing the importance of planning. However, when the students went off to work independently, many of them struggled to create timelines. As we conferred with the students, we both kept hearing blurry stories about Fenway park, the family dog, a Disney trip, the day I went fishing... Who did what? I kept asking. What's this story really about? Even though the teacher had taught the classic watermelon and seed lesson, many of these students still did not understand the concept of a small moment, making it extremely hard to create a timeline. 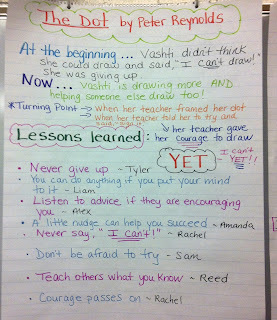 Both the classroom teacher and I recognized that we had to do more work around teaching the concept of small moment. I wanted to catch a fish, but there were really big waves that made my stomach feel terrible, so my uncle had me focus on the horizon and concentrate on casting and I caught a big bluefish! I wanted to have a tube ride, but we hit a big wake and the tube broke, so my dad said we would have to get a new one, and he did! I wanted to score a soccer goal, but the goalie was huge and the defense was fast, so I used my best dribbling skills and I put the ball right up in the upper corner. 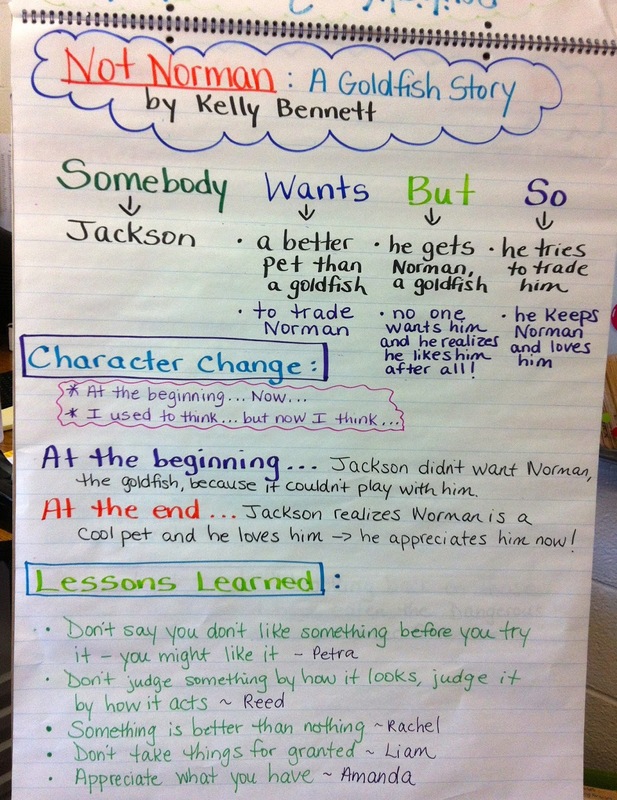 Because the teacher was not planning on me--we had done this spontaneously--she had been planning to teach the lesson about what is your story REALLY about, so she had a chart ready to go. 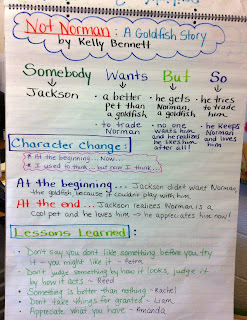 We had students write their own story recaps on post-its, then invited them to put their post-its up on the chart. 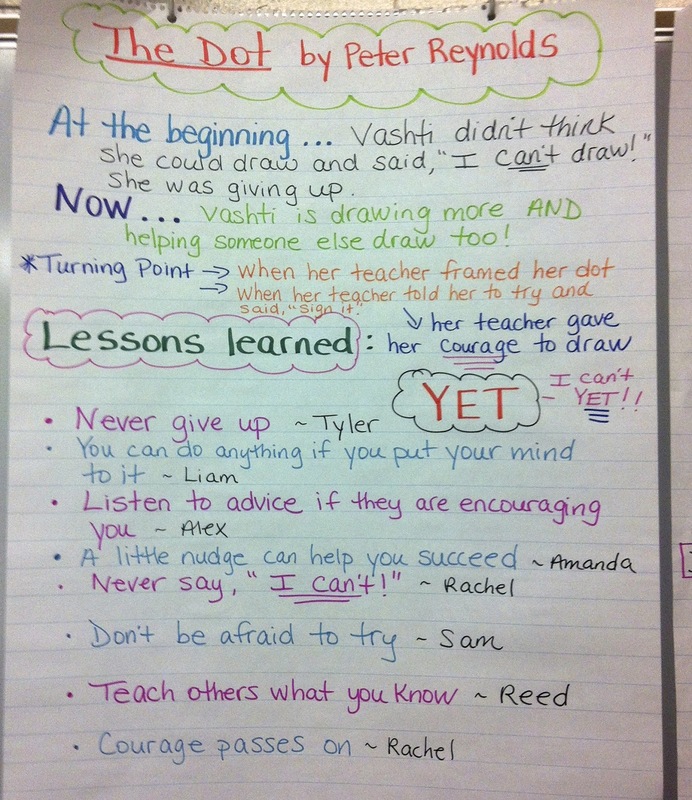 What a lot of writing energy this generated! The post-its added an element of play, as well as publicity. All of the post-its on the pictured chart are student generated "pre"-caps of their stories. The particularly useful thing is that the students can re-claim, sort, and select their post-its, as they move into developing plans and story drafts. The other unintended benefit was how motivated students were to have their work on display. Students who typically hadn't written much the day before were writing multiple post-its because they wanted their work on the chart. In hindsight, I wish that we had used different colored post-its and had students put their names on their post-its right off the bat. Tony Wagner writes about the three p's--passion, purpose and play-- for high student engagement in his recent book, Creating Innovators. I would add post-its and publicity! 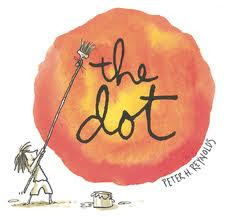 Since it is the beginning of our school year, I have not had as much time to read so instead, I'm posting a few books I have read aloud, along with the charts we created, in the first six days of school. Last year, I was new to the position of Writing and Social Studies Coordinator and Constitution Day caught me off guard. Constitution Day is observed on September 17th each year, in honor of the signing by the U.S. Constitutional Convention. Since 2004, when Citizenship Day was renamed Constitution Day, every school and college that receives federal money must teach about the Constitution on September 17th. I marked my calendar to remember this during my second year at this position! I'm including a screen shot of some of the activities that this website has available. All are live links and include a variety of levels. In addition to these activities, the website is full of information, timelines, and historical facts and links. A poster contest even offers artistically inclined students the opportunity to showcase their talents with prize money at stake. Poster entries must be postmarked by October 1st. There are many other sites that offer engaging ways to meet the federal requirement of a Constitution Day lesson, but one more that I really like is http://www.archives.gov/education/lessons/constitution-day/. Here, you can find a simulation of how the members of the Constitutional Convention might have felt as they wrote the Constitution. There are also many original documents and a workshop that is suitable for upper elementary through high school students. I'd be interested in hearing how other teachers and schools have taught about the Constitution. Please feel free to share some ideas in the comments. 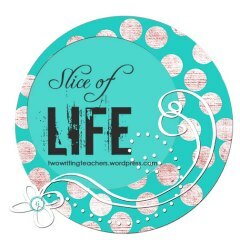 I have been on an unplanned and unannounced leave of absence from the blogging world, but I am working on making a comeback. I have found that the hardest part of getting out of the blogging habit is getting back into it. This realization makes me really think about my writing life and how like other routines it becomes--when I exercise regularly and it's part of my day, I keep exercising. I go through phases of cooking really well and it becomes part of my routine. I definitely need to re-establish my blogging routine! our summer writing academy--I had written about some of the plans, but I have not written since we completed it! Speaking of which--I have been studying the language standards within the CCSS and I am worrying. I think I'll be writing this post next! fun and engaging activities and websites for recognizing Constitution Day, which is on September 17th. 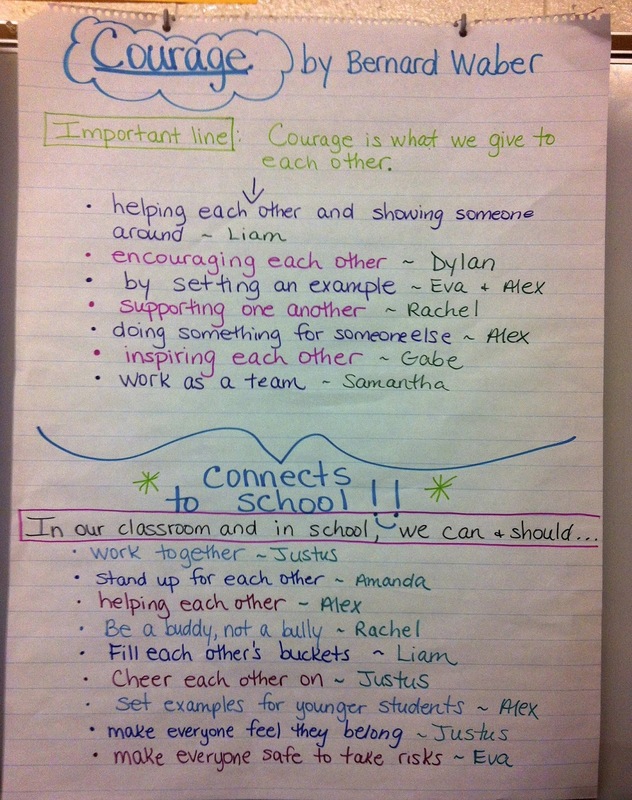 the work that we are doing to integrate social studies and writing in a meaningful way that keeps students writing. how we continue to present the new standards and expectations to parents. the great college application process and how standardized testing still influences life decisions. along similar lines, how truly disadvantaged lower socio-economic students are when it comes to the college application process. how to maintain balance for over-scheduled high school students. Phew--I've written a post. Admittedly, not a long one and not a profound one, but a preview of posts to come. I'll write again tomorrow.